Vinyl flooring today is nothing like it was 20 years ago. With new technology Luxury Vinyl Tile (LVT) looks just as good as real wood, stone, or ceramic tile, but is a fraction of the cost. The new fashionable designs combine the best of design and technology in one product. Here are some pros and cons for choosing LVT flooring. LVT is very durable, don’t worry about denting or scratching – vinyl is so well made these days it is virtually indestructible. 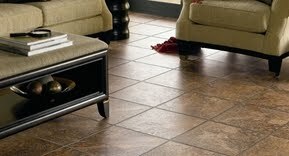 LVT flooring is made from petroleum, with the color and pattern printed on the top of the product. 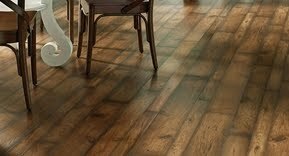 LVT was developed in the late 1800’s so the manufacturing process is well honed. There are a variety of LVTs to choose from. Anna Ione Interiors has partnered with Rite-loom flooring to help clients make the best choice for wood, ceramic tile, stone or laminate LVT flooring. Please contact us to schedule a time to come by the showroom and see all of the flooring options!